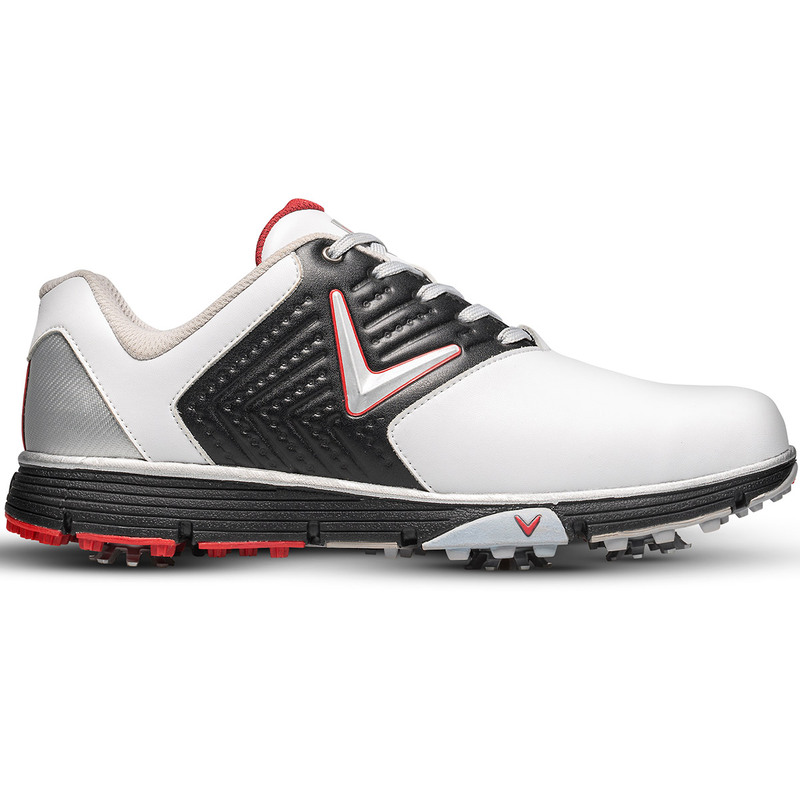 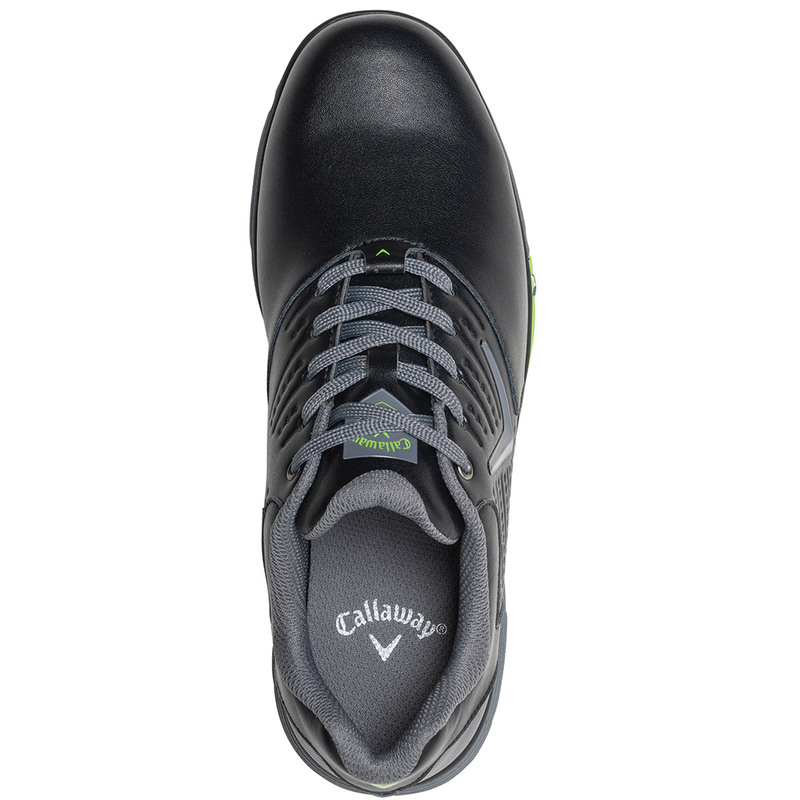 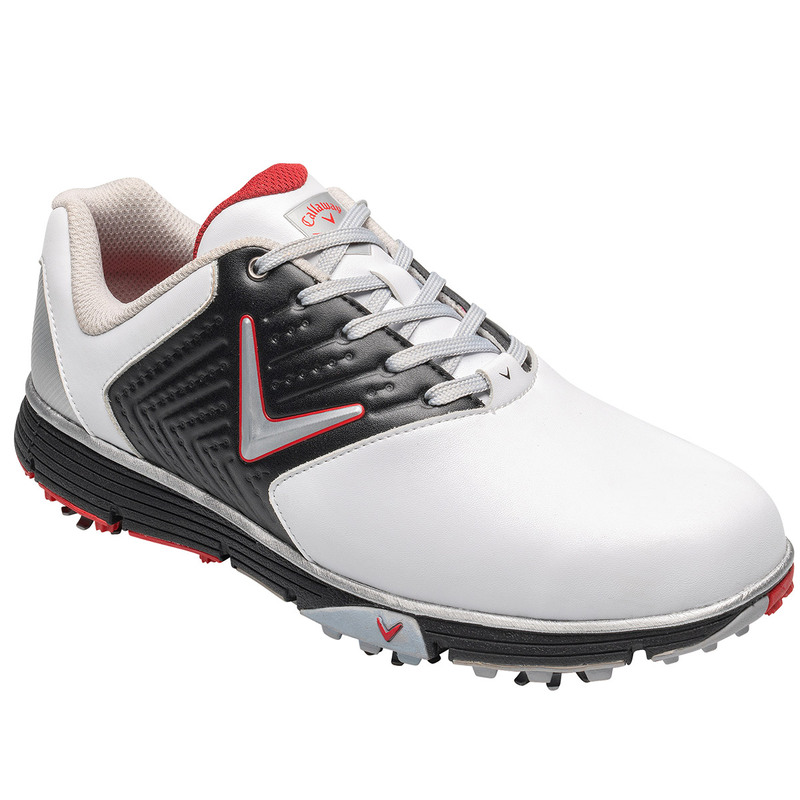 Callaway Golf has designed the new Chev series shoes with a leather upper material, these are lightweight and waterproof, with Big Bertha power cleats for high-performance straight out of the box. 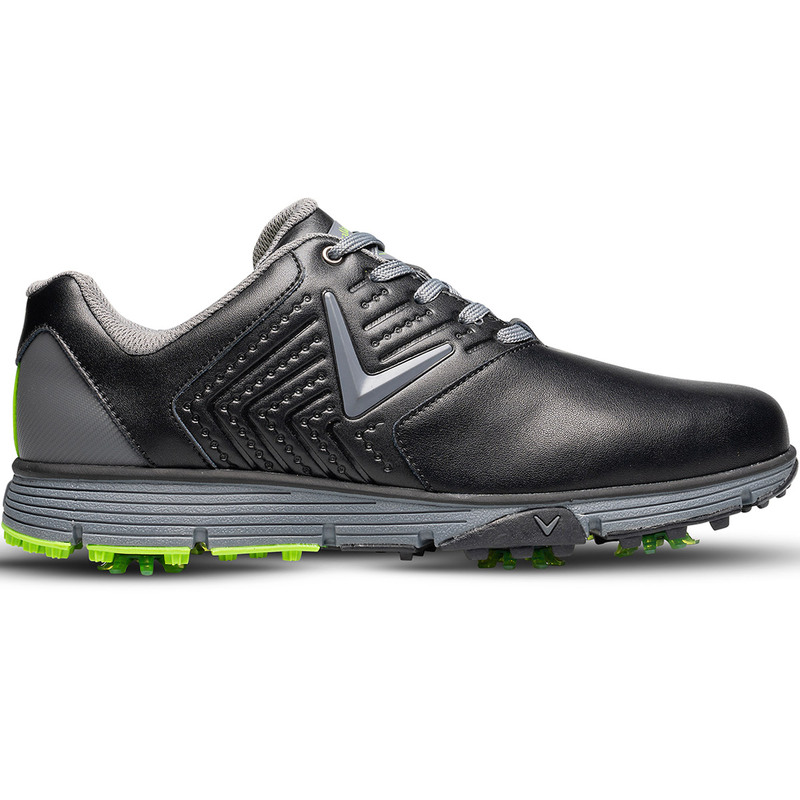 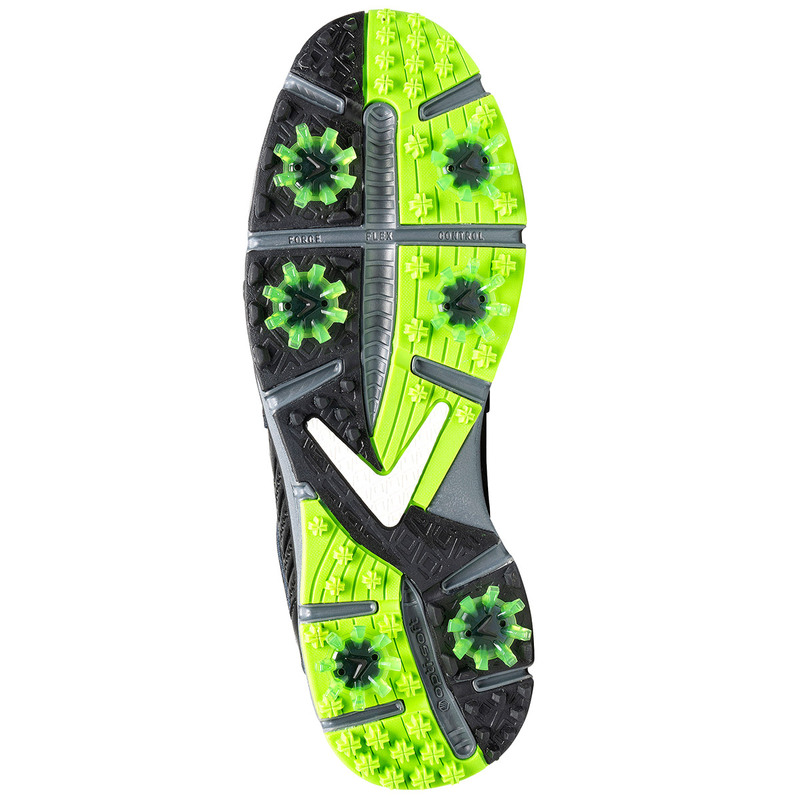 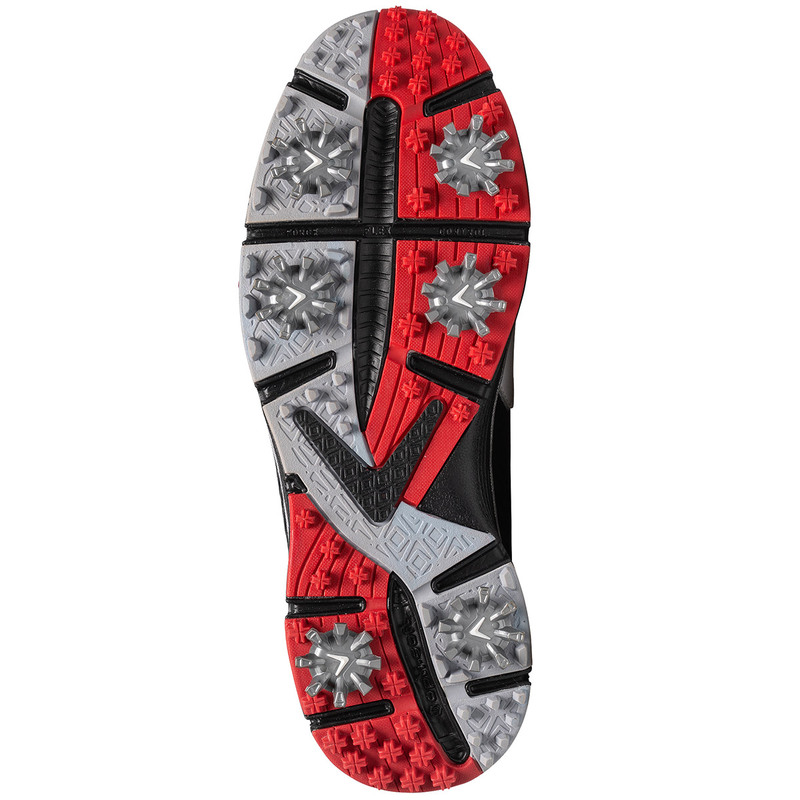 Grip and control are essential when you are playing golf, and to give you a top performance the shoes are enhanced with Force Flex control channels, Xfer Dual power walls and BIG Bertha power cleats. 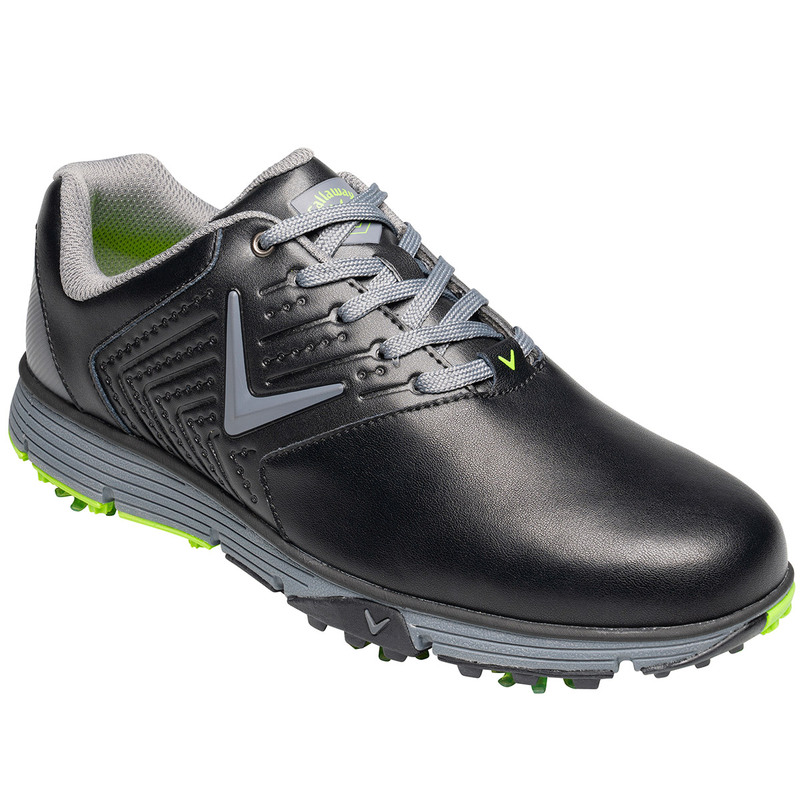 Big Bertha cleats maximise traction and provide a more energy efficient power transfer, these cleats have been bio-mechanically tuned to their specific location to give you the best possible performance.